Thankfully, not everything is foreign. The dusty red dirt was stereotypical and very cool (image #1), familiar in the sense that it was expected – based on the numerous representations of the desert we get through life in the media (like when you go to Europe for the first time and it’s a little disappointing because you have ‘seen it before’ on movies etc.). The bright sunshine was welcoming and reminiscent of home too. Also straight out of the nation’s capital were wahlenbergia – the bluebell is the floral symbol of Canberra (technically of the ACT), and it is lovely when a symbol like that can help connect you to a new place (image #2). 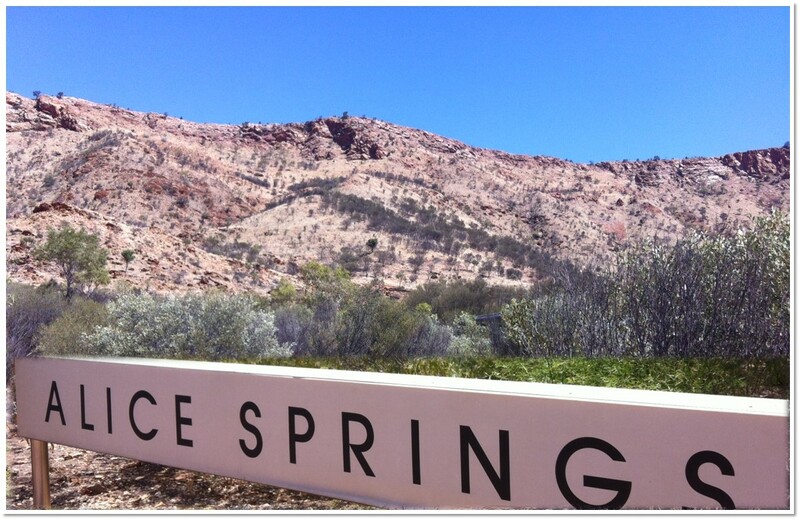 Presumably one of the 500-odd ecologists descending on Alice this week can tell us which one it is – but I didn’t have time to ponder it. Like the bluebell, the Zebra Finch is a reminder of home for me. As a child I kept them in an aviary, so hearing their zinging call in wild nature was fun. For too many of us we only get to see them in pet shops and our homes and not in their homes. I was pretty stoked with the Iphone photo too (image #5). OK – here it is – for the middle of the supposedly ‘great flat arid centre’ – there is a bucket-load of wildlife. Both in diversity and abundance. 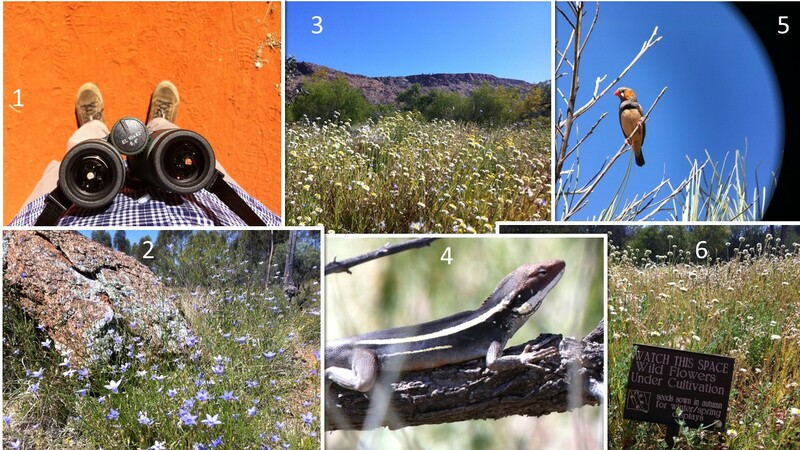 I was really surprised by the number of birds, number of wildflowers, the diversity of vegetation types in a small area, and the number of reptiles and butterflies (images #3-5 – even in the middle of the day). Sure, I get that the Local Organising Committee for the ESA Conference would naturally have chosen the best time of the year to show off Alice, but wow, I certainly wasn’t prepared. The showcase of wildflowers against the red dirt and the backdrop of the outstanding geology was simply spectacular. Seeing an array of wildflowers – paper daisies, bluebells, wattles, grevilleas – all blooming like islands in the sea of scrub was a real privilege. As an occasionally very keen bird-watcher and twitcher the abundance of birds – especially honeyeaters – was actually quite challenging. Honeyeaters come in greys, light-greys, browns, light-browns and tepid-grey-browns, and what’s worse, there are varieties in the red centre that look pretty much the same as their cousins elsewhere in Australia. The flitter about in the foliage of dense trees and shrubs, never sit still and fly quite quickly. I did confirm the Singing Honeyeater and Yellow-throated Miners as other lifers today, but I reckon there is three or four more honeyeaters there ready to pick up later in the week (will be visiting the sewage treatment ponds in the spinifex with the aforementioned expert-locals). Finally, there are clearly some great horticulturalists around. There was a bunch of sites at the Desert Park undergoing remediation, and most of them successfully. It was interesting to see them using the ‘lay sticks down and the plants will come’ approach that is also successfully used elsewhere. 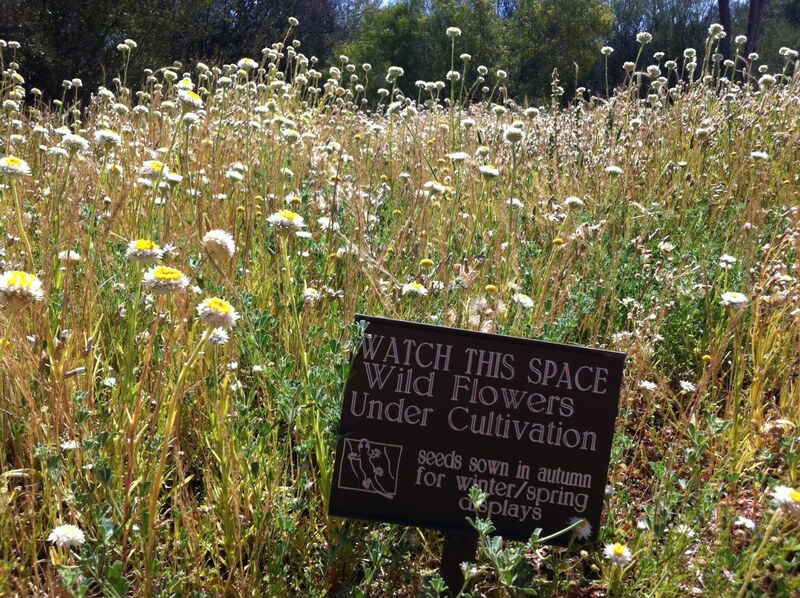 My favourite was the little signs keeping people away because the plants were on the way – being overgrown and oversown by the blooming natives!